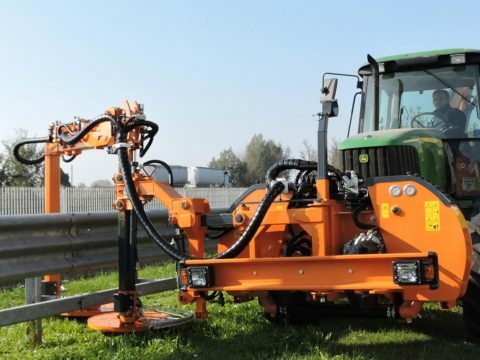 Bush cutters for the maintenance of roadside verges where there are guard-rails, barriers, bollards, posts, trees, etc. 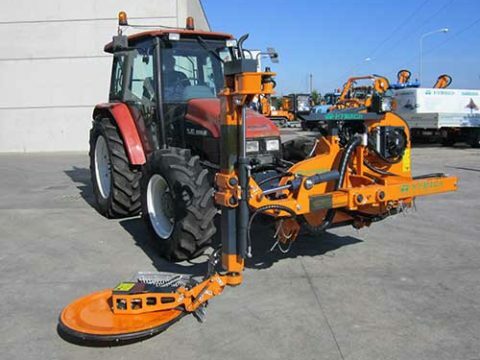 Available for mounting on a tractor hoister, front or back – if with reverse drive – or a mounting plate on trucks and operated via connection with the shaft drive to the PTO of the vehicle on which they are attached. 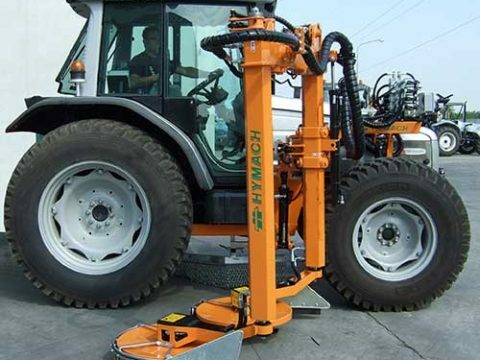 It is also possible to mount them ventrally on tractors with a custom-built frame. Thanks to the automatic bypassing system, they are able to cut grass right up next to obstacles. 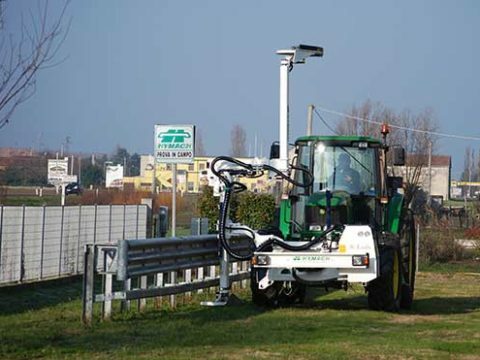 It is possible to install the AADJ system (patented by Hymach) on all the models which carries out auto-levelling and auto-adjustment of the cutting height, which is constantly maintained with automatic regulation (patented by Hymach) with regards to deformities in the ground, without the need of intervention by the operator, thus guaranteeing a high level of productivity and an excellent quality of cut. 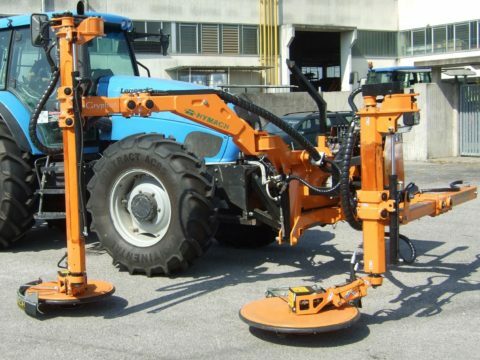 The mountable cutting units have a cutting diameter of between 60 and 100 centimetres. They are often coupled with other arm attachments to make up a combined apparatus that can simultaneously work on embankments and slopes. Various optional equipment is available in order to personalise the machine to your needs.